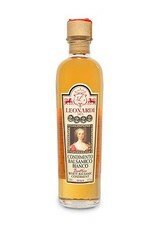 Acetaia Leonardi White Balsamic Condiment - Beatrice - Miam! Deep golden hues, rich floral notes on the palate, and sweet soft acidity. Beatrice White Balsamic Condiment is exceptionally delicate, perfectly balanced, and really delicious. 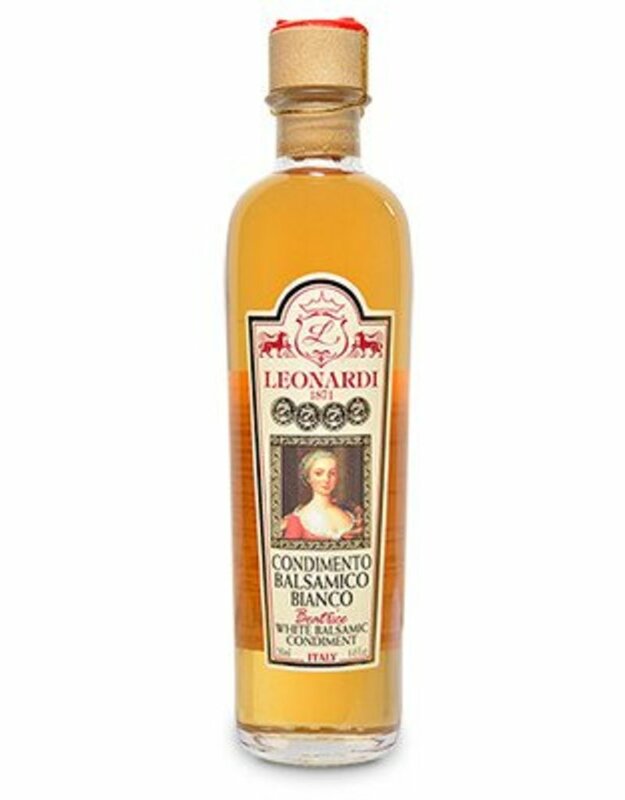 Beatrice White Condiment is made solely with Trebbiano grape must and white wine vinegar. It is aged in oak barrels for eight years or more. Wherever used in the kitchen, your cooking will be enhanced by one of the most elegant vinegars out there. - Pairs with delicate greens, citrus fruit, and raw seafood. - Use as a glaze for a fresh fruit tart.